Fall breeds new beginnings in a college town; there’s the start of a new school year/semester, football season is on the rise, and then there’s sorority recruitment. The girls spend about 10 days out in the summer sun, preparing to be their best, hoping to get a bid at the end of it. The girls form bonds that turn into long lasting friendships that can withstand years after college life. Once you’ve been initiated, there are perpetual Panhellenic events that bring Greek life students together and form a community. 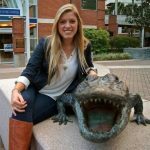 For those who want to remain involved, there’s always options to live in the sorority house, but that comes with limited spacing, and many prefer the apartments near sorority row UF, as it’s a great option. There’s a series of high-demand for Gainesville apartments around sorority row that allow Greek life to have the convenience of walking to their UF sorority houses for chapter meetings and social events, eat free meals that are included in the sorority dues, and even walk to UF classes. They are also perfect for freshman and upperclassman who can have hassle free parking during recruitment, without the worry of the limited parking near sorority houses. These are the closest apartments to UF Sorority Row! Each apartment has gourmet kitchens with granite countertops, tall, elevated ceilings, and porches/balconies in some units. Here you can live steps from Sorority Row but also be close to the University of Florida campus and midtown, too. These apartments are considered one of the most popular apartments and is located just one block to Sorority Row. Spanish revival flair makes these apartments in Gainesville unique and well-liked, as well as the unbeatable features, like XXL porches or balconies with swings, community fireplace, fountain, and the spacious floorplans that make this community feel like home. These Gainesville Apartments are located directly across the street from Kappa Alpha Theta. Sabal Palms are beach inspired and provide easy access to Sorority Row. Due to its closeness, these apartments are some of the most high-demand among Greek students. There’s parking next door, at Royale Palms, so you can leave your car and walk everywhere you need to go; your sorority house or social events, UF classes, and more. Latitude 29° neighbors to Sorority Row and the sorority houses. Perfect for those who prefer to live on their own or in a 1 bedroom or who wants extra space in the 2 bedroom townhouse. Each of these units has unbeatable amenities to match. With easy access to your sorority house, you’ll never miss a social event or chapter meeting! One of the more affordable apartments, University Heights is cozy and quiet and located across the street from Sorority Row. These apartments fit the needs of a wide range of people, so if you’re not as much of a partier and prefer the quiet, these apartments are perfect! 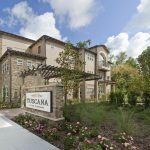 These brand new apartments bring Tuscany to Gainesville through beautiful architectural elements. Although further away than the others stated above, you can still easily walk to Sorority Row in 2 minutes. Tuscana offers beautiful outside landscaping, where you can lounge under the sun on the formal lawn or cozy up by the outdoor fire pit, it’ll surely impress your friends. The apartments near UF Sorority Row is in high-demand and are usually some of the first to lease. If you can’t live in your sorority house, choosing to live in these apartments are a great alternative, especially since you’ll meet other girls in sororities and can network from where you’re living.